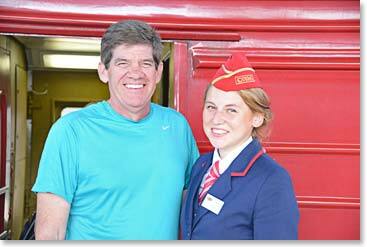 We arrived in Moscow from our overnight train ride from St. Petersburg at 8:40 this morning. We all enjoyed the train and found our cabins comfortable. Larissa and our car from the Park Hyatt hotel were waiting for us. We made it to the Hyatt hotel by 9 am, which was amazing since we all had so much luggage! When we arrived at the hotel our rooms were ready for us so we were all able to go and relax and take some showers before we began sightseeing. 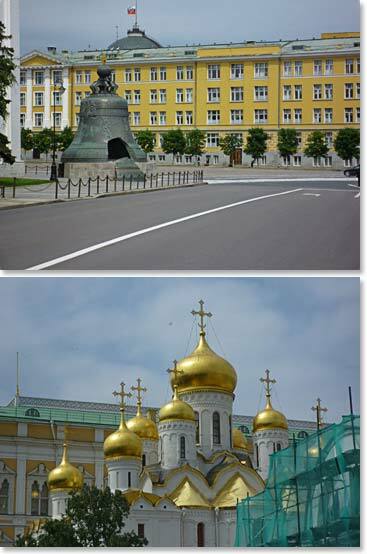 Larissa had a great day planned for us in Moscow and we saw a lot of this great city. 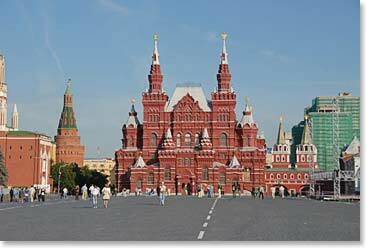 We began visiting the Red Square, which to many is considered the heart of Moscow. We visited the Kremlin, the famous “fortress in the city”. 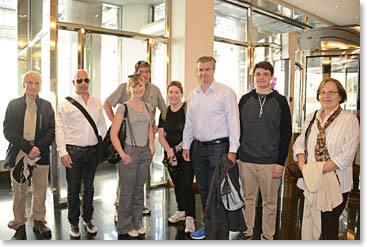 We also made a visit to the GUM department store which faces the red square. We enjoyed walking and experiencing city life in this amazing summer weather. Right now the sun is setting and some of the team has decided to go back to the Red Square to see the St. Basil’s Cathedral in the night lights of the city. Tomorrow we will wake up early to prepare for our flight into Mineralnye Vody. But before we fly out of Moscow we have decided to visit Lenin’s Mausoleum where we can see the body of the famous communist revolutionary as it has been preserved over the years. 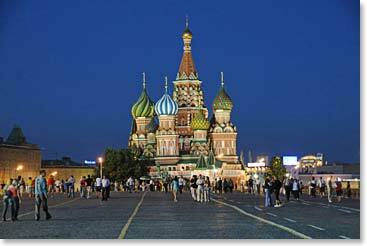 St. Basil’s Cathedral at nighttime is a beautiful site!